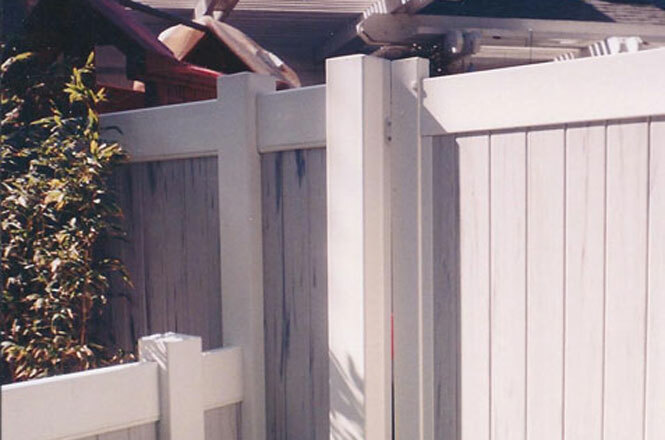 Buyer beware when choosing a vinyl fence contractor. 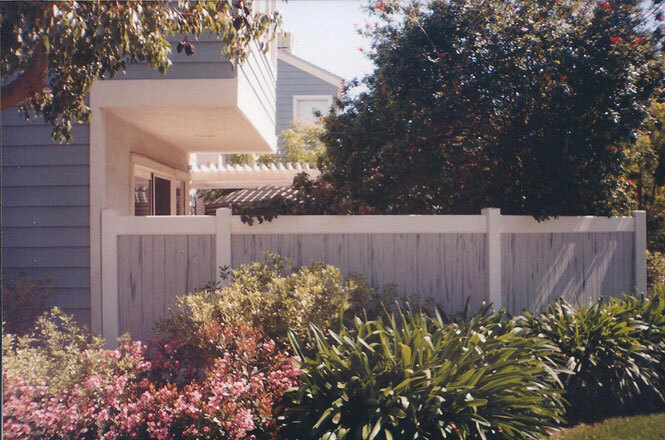 As a homeowner, you need to make sure the contractor you choose is not only a Vinyl Fence specialist, but also a vinyl fence fabricator too. 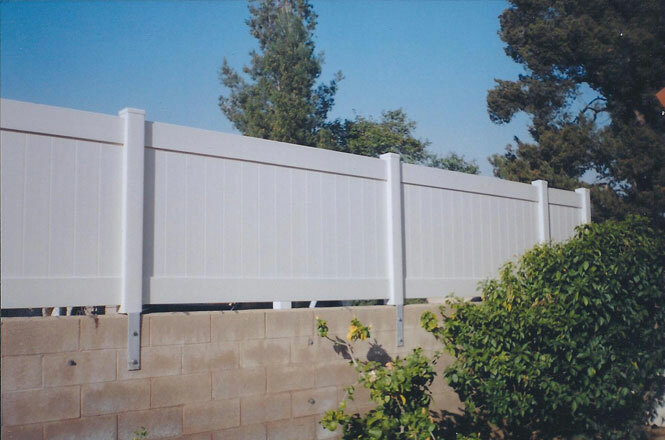 As a Vinyl fabricator we purchase profiles from our manufacturer in 12, 16 and 20 foot lengths. 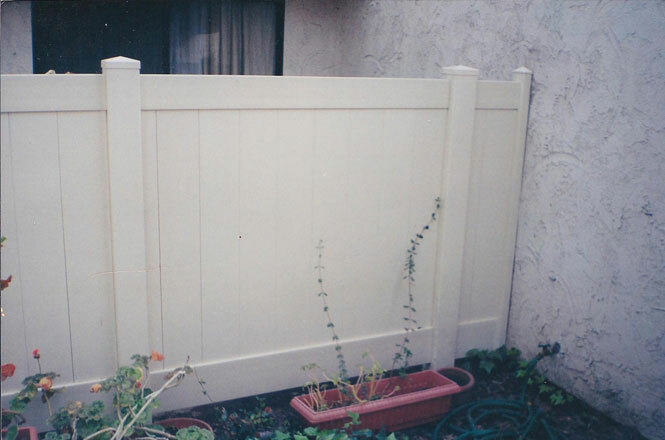 Your fence is not made until you place an order with us. 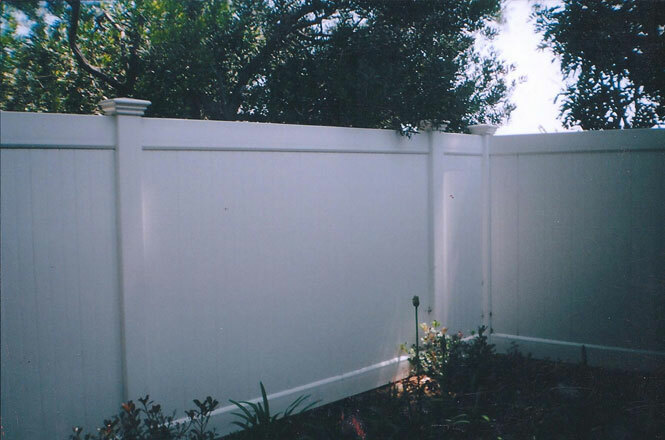 This allows us to ensure that your sections are all proportional and not uneven like the pictures below. 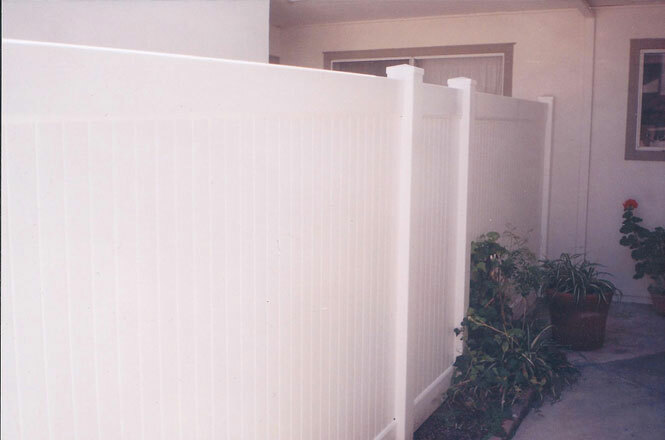 Specializing in Vinyl also allows us the expertise to work with different non-standard installations. 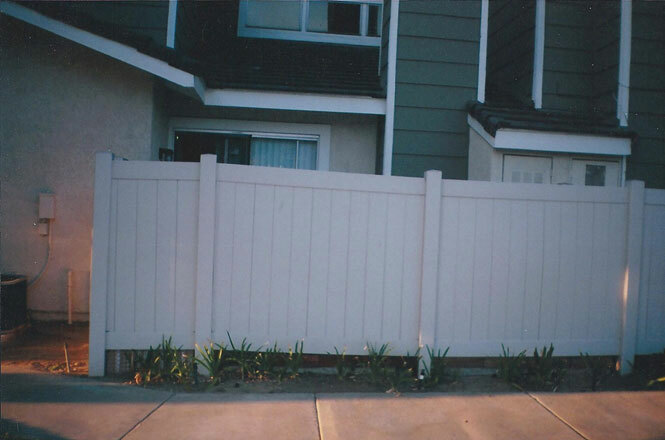 We will ensure that your fence not only looks great after it is installed, but it will continue to be maintenance free for years to come. What happened at the end there? 8’ sections, and then a little 2’ section. Weird! This is one of the best, and this stuff really does happen. Couldn’t they have extended their last section 6”? Again, poor planning! This is what happens when a contractor works with pre-fabricated sections. 5’ section, 8’ section, 4’ section. Wouldn’t it have looked better if it was 6’, 6’, 6’? Again, working on pre-fabbed sections doesn’t allow much flexibility during an installation. 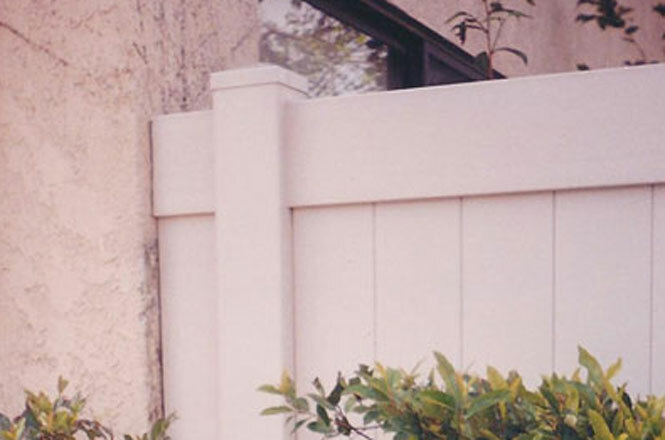 Why use metal brackets to attach to the wall. They WILL rust!